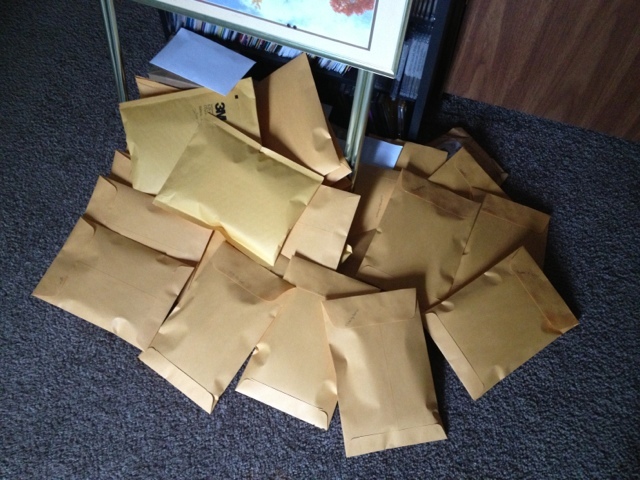 What you see is a photo of the packages ready to ship from the 182 Packs of Baseball giveaway. Finally, right?! I am still missing a lot of mailing addresses, so if you took part please send me your mailing address. Those that have provided an address will be getting their packages soon! Thanks to everyone that played along. I hope you had a Merry Christmas and I cannot wait for next season's daily pack-busting giveaway. Welp, the Tribe has done it again. There goes another star... Choo goes to the Reds. Seriously, why can't we get rid of the office folks making these stupid decisions instead of our star players?